Major fabrics of these maheswari cotton silk saree are Pure Silk and Cotton. The saree has a smooth texture, easy to wear and has a cool feel on your skin. Wear light and tasteful contemporary modern jewellery to cross match perfectly with this colorful saree. The Natural Cotton and Silk fabric and pure vegetable colors add a unique luster to this traditional saree. 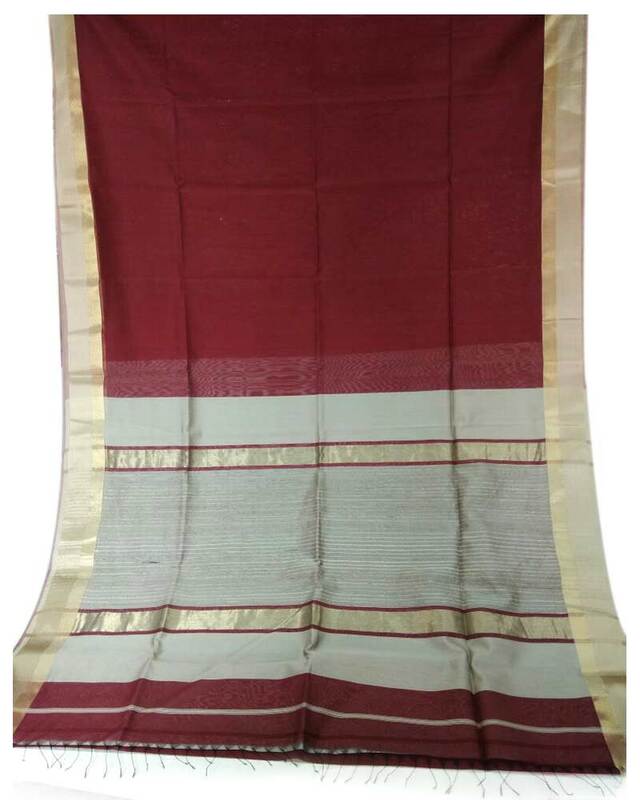 This elegant Maroon colored saree with Golden color border along with a graceful pallu suits casual as well as office wear.